Christmas is nearly here, and with it, the New Year. So, no matter how busy we all may be, it is likely that the majority of us will spend a little time reflecting on the year that was – acknowledging our shortcomings, embracing our successes, and evaluating how we might improve in the coming year. In other words, we will make New Year’s Resolutions. We might even be so bold as to write them down and post them somewhere conspicuous so that others will see them and support us in reaching those objectives. This year, the Board of Trustees is going through that exact exercise as we prepare Trinity’s new Strategic Plan. Our work started in September and will be completed by June, 2017. In her recent letter to the School community, Sister Catherine gave a brief update on the Board’s efforts. As she noted, the Board has identified four planning topics to be addressed in the plan: Mission & Marketing, Enrollment Management, Finance & Institutional Advancement, and Learning & Learning Spaces. As we consider these topics, we are constantly reminded to think strategically – to consider how Trinity can improve on its successes, abandon strategies that have not worked, and seek out and embrace new strategies that will aid the school in achieving the goals set forth in the plan, moving ever closer to the aspirations embodied in the plan. St. Julie’s charism is alive and well at Trinity. Through her continuing prayers, she urges Trinity, and thus all the members of Trinity’s community, to be faithful to God, to instill Gospel values in our students, and to be ever vigilant in ensuring that they are truly being prepared for life – so that as they go out into the world, they will do so carrying God’s love in their hearts, and carrying out His work through their words and actions. 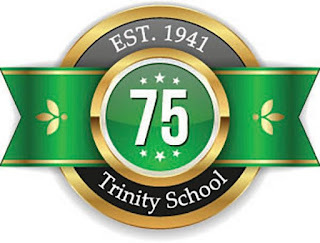 The Board of Trustees’ efforts are aimed at ensuring that Trinity will develop a sound plan that will allow it to remain faithful to, and successful in achieving its Mission. This Christmas season, please pray for the members of the Board of Trustees that we will be guided by the Holy Spirit, diligent in our efforts, and open to the suggestions and support of all those who will participate in preparing the strategic plan. On behalf of the Board of Trustees, please be assured of our prayers for you and your families – that Christ’s peace, love, and joy will reside in your hearts and homes this Christmas, and sustain you in the coming year. Have a joyful Christmas, and blessed New Year.